West Sacramento, CA – Minor League Baseball® (MiLB™) today announced the launch of Copa de la Diversión, or “Fun Cup,” a season-long event series specifically designed to embrace the culture and values that resonate most with participating teams’ local U.S. Hispanic/Latino communities. 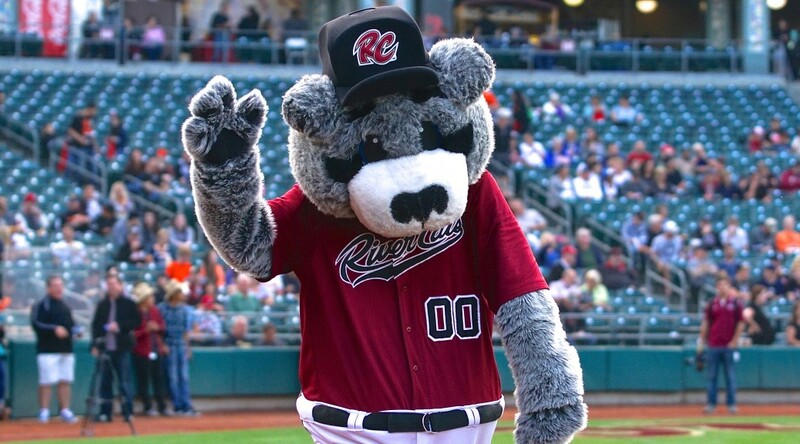 “We are honored to be a part of this national initiative, and look forward to this opportunity to further create a fun-filled environment for the exceptionally diverse Sacramento region,” said Chip Maxson, General Manager of the Sacramento River Cats. “Raley Field has always been a welcoming place for family-fun and memories, and we cannot wait to unveil our plans to build on that through the Copa de la Diversión. Based on the successful launch of its national “It’s Fun to Be a Fan” (and corresponding Spanish-language “Es Divertido Ser Un Fan”) marketing campaign in 2017, participating teams will bolster their marketing and customer service efforts this season to create a culturally-relevant gameday experience through music, concessions and promotions. The 160-game event series begins on April 8, in Round Rock, Texas. To build awareness and create excitement for the new national series, a 3-foot tall Copa de la Diversión trophy will embark on a tour of the participating cities, as part of a “Gira de la Copa” (“Cup Tour”). To distinctively launch this new initiative, and visually celebrate the diversity that defines MiLB communities nationwide, MiLB and each participating team will create culturally-relevant on-field personas that honor the local U.S. Hispanic/Latino communities. The Copa de la Diversión team identities will be unveiled on March 20. Last season, three MiLB teams adopted new alternate on-field monikers to reflect their unique and diverse fan bases: Charlotte Knights (to “Caballeros,” its Spanish-language equivalent), Las Vegas 51s (to Reyes de Plata, or “Silver Kings,” a nod to the city’s mining heritage), and Visalia Rawhide (to “Toros,” in honor of the region’s dairy industry). After the conclusion of the season, each participating team will auction its Copa de la Diversión branded game-used caps and jerseys and donate the proceeds to a U.S. Hispanic/Latino-focused organization in its community. The participating teams for the 2018 campaign, spanning 19 states from coast-to-coast include: Albuquerque Isotopes, Bowie Baysox, Brooklyn Cyclones, Charlotte Knights, Corpus Christi Hooks, Daytona Tortugas, Durham Bulls, El Paso Chihuahuas, Eugene Emeralds, Everett AquaSox, Greenville Drive, Hartford Yard Goats, Hillsboro Hops, Inland Empire 66ers of San Bernardino, Kane County Cougars, Kannapolis Intimidators, Lake Elsinore Storm, Las Vegas 51s, Lehigh Valley IronPigs, Memphis Redbirds, Oklahoma City Dodgers, Omaha Storm Chasers, Pawtucket Red Sox, Rancho Cucamonga Quakes, Round Rock Express, Sacramento River Cats, Salt Lake Bees, San Antonio Missions, San Jose Giants, Stockton Ports, Tulsa Drillers, Visalia Rawhide and Winston-Salem Dash. West Sacramento, CA – The Sacramento River Cats and Raley Field are proud and excited to welcome the world’s best in softball, the USA Softball Women’s National Team, to Sacramento. The team will compete in an exhibition doubleheader event on Thursday, July 13, 2017 at Raley Field. Game times are set for 6:00 and 8:00 pm. Tickets are just $25 for the doubleheader and the event is General Admission. An autograph session with Team USA will also be held immediately following the games. Team USA, featuring local softball standouts Ally Carda (Elk Grove Girls Softball & Lady Magic) and Ali Aguilar, (American River Girls Softball & AASA), will play against a team selected of Sacramento area players who grew up playing in local rec and travel teams, and are currently playing at the college level. This elite group of athletes will be coached by American River Softball Coach, Darin Delgado, and UCLA and Team USA Alum, Lyndsey Klein. Ponzo’s sentiment was echoed by River Cats General Manager Chip Maxson, who noted the excitement surrounding the event. 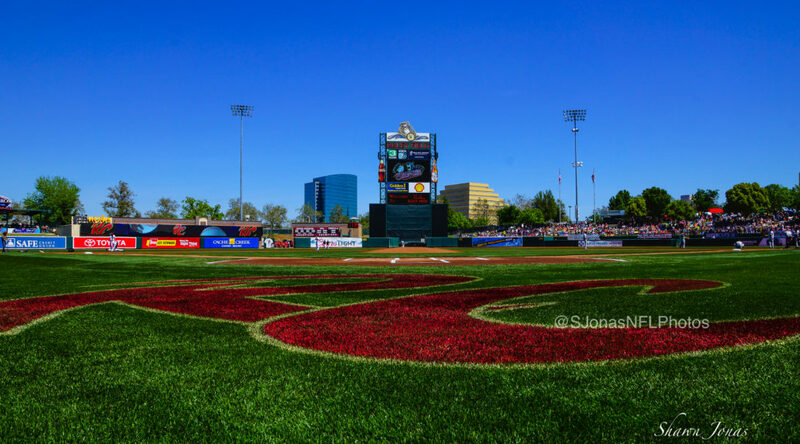 Fans can park for free at Raley Field for the event by using the Lasher Elk Grove carpool parking pass. The parking pass requires at least four people per vehicle and can be obtained by visiting www.lasherautogroup.com/rivercats, selecting the 7/13 date, and clicking submit. Simply print the certificate and present it upon entrance to the parking lot to take advantage of free parking. The USA Softball Women’s National Team will also host a VIP Meet & Greet, providing a special opportunity to socialize with Team USA and the Sacramento All-Star team in a more exclusive setting. Guests will enjoy dinner with the athletes and coaches of Team USA and be treated to some fun motivational speaking and prizes. Included in the VIP Meet & Greet Package is a USA Softball Shirt and softball for autographs. Limited space is available for this once in a lifetime opportunity to socialize with Team USA. The VIP Meet & Greet will be held at the Falls Event Center in Roseville from 6:30pm-8:30pm the night prior to the exhibition games (July 12) and is open to all ages. For more information about the exhibition game and the special events and to purchase tickets, please visit us at www.usasoftballsacramento.org.